*If you’re not seeing any it means we’re temporarily sold out. Reach out and we’d be happy to tell you exactly when we expect the next one to be available for a test drive. Performance, technology and looks! The Edge St is a full meal deal. 335 hp and 380 lb/ft. of torque, a 2.7L V6 EcoBoost engine, wireless charging and a standard Ford Co-Pilot 360, featuring advanced and simple to use driver-asset technology features. 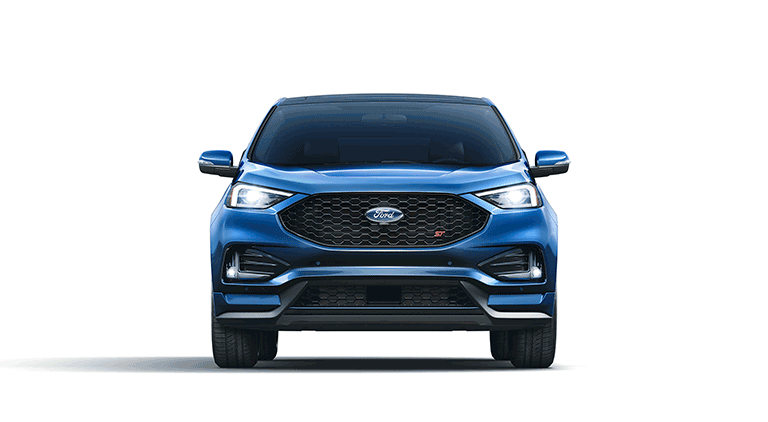 The new 2019 Ford Edge ST is inspired by performance and sophisticated style. The Edge isn’t meant to blend in. We often trade the things we want for the things we need. You need a family SUV with great fuel economy and class-leading safety features, but you want a little flair and an athletic ride. That’s where the 2019 Ford Edge flexibility comes in: you get performance features without losing the stylish, comfortable ride you really want.